BE YOURSELF!!! I love this little monster, and the Butterfly Vase makes the PERFECT crown! In a world of copy cats, why not make the world a better place and just be YOU? Hello Friends! Welcome to SWEET STOP SATURDAY!! For those of you who are my friends on Facebook you know I HAD this idea with a "DIE" and this CUTE Monster...but when I looked at my Blog Hop assignments, alas, the "die" didn't work for the Monster. :) Alas, I was able to use it on todays card! Did you get to join in on the MONSTER BASH BLOG HOP yesterday? If not, join in on the fun HOP HERE. You won't want to miss it!!! Above is our sketch for this week.... and here is my take on it with the SUPER FUN, ADORABLE Oddly Sweet Curiosities Set #1 and the text from Monster Success colored with a marker on just the Be Your self words. and the Garden Corners on this project. I created a "crown" for the Monster and decorated it with Perfect Pearls Confection and Metallics . I then used Gold Viva Pearl pen and the Ice White Pearl Pen to decorate the project. I also used the Bo BUnny Country Garden Papers! I just LOVE THESE!!! I added a layer of black and black stitched ribbon. To finish off the project, I doodled around the oval and added stitched ribbon and dew drops. SCACD - IT'S A MONSTER OF A HOP! Hey All! Welcome!!!! Today SCACD releases fun and fresh stamps from the Susana Loves Stamps Collections!!! We start off with the Oddly Sweet Curiosities Set which harbors the cutest little Curiosities with matching sentiments. These are Fab and definitely year around fun!!! The second Set are four wonderful little ladies that make up The Little Sassy Crew. Check 'em out- they are the gals that have a sweetness and attitude factor that are off the charts!!! We are also introducing a fun little set of Mixed Media houses called M’s Place that makes them a must have for those that love cute in their Mixed Media. So grab a cup of coffee and enjoy the ride!!! Wasn't Amanda's project WONDERFUL!? So much FUN!!! (If you didn't arrive here from Amanda's blog, you don't want to miss what our whole DT has in store for you! The Blog Hop starts HERE. I started using the Technique Junkie Newsletter - Rolled Corners technique. I used the Miss Caroline Howdy Doody designer Paper Pad on the house and paper pieced the roof and house. I painted the Windows and Sky with Sky Blue Silks Acrylic Glaze. I stamped the Sun and the Monster, and painted them in the Solar Gold Silks Acrylic Glaze. On the Door, Roof, cake and Monster - Vavoom Red Silks Acrylic Glaze. I painted the Cake with Inspiration Paints - Caramel and used the Faber Castell - Gelatos - white/ black to create the clouds. I misted the gelatos with water and made a swirling motion with my fingers. I ran the patterned paper through my Big Shot with the Craft Concepts Daisy Do Embossing Folder. To finish off the card, I added Viva Pearl Pen Ice White to add a few "gems." For my second card, I wanted to try to add a little bit of funk. I LOVE techniques and trying to mix up different products on my projects. On this, I used the Technique Junkie Newsletter and the Simple Whitewash from the August/ September 2009 issue. I used the Stipple Brush to add a layer of Gesso on the Kaiser Kraft 6x6 Utopia patterned paper. Susana has such an AWESOME supply of Patterned papers! I could get lost as I shop there with her great prices!!! Best of all, Susana provides a FABULOUS service too! I added Gold Stickles along the flames. I painted the edges with Gold Inspiration Paint. I added Baker's Twine around the layers of card stock. I used Viva Pearl Pen, Magic Transparent on the cake and Zva Creative Pearls to add a little flourish! I hope you enjoyed my projects today! Tomorrow, I will share the idea I had for another MONSTER!!! :) Now be sure to enjoy the hop, the Design Team is going to WOW you with their FABULOUS designs!!! These are all in the SCACD store and for our International Friends, at Quixotic Paperie!!! I hope you enjoyed my project today! THANK YOU for stopping by! Happy Hopping and have a FABULOUS weekend! Hi Everyone! Today I have a Clean and Simple card to share! I used the Calla Lily Sympathy Frame from DRS Designs and stamped this in brown ink. I colored it in with the following Copic Markers BG13, YG67, YG17, Y21, Y23. I embossed the So Saffron cardstock using the Couture Creations, Swept Away Embossing Folder. I layered that on Espresso Cardstock, and added three strips of Soft Sky Stitched Ribbone across. I adhered Dimensionals along the back of the Calla Lily Sympathy Frame and adhered that to the card. Quick and Simple, yet offers a message of sincere sympathy to your friend or loved one! Thank you for joining us today! I hope you will come again tomorrow and join us in our next challenge! 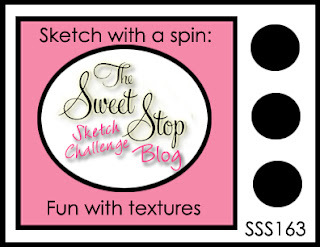 DRS DESIGNS SUMMER FUN BLOG HOP! 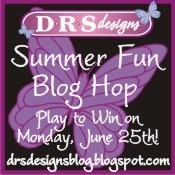 Welcome to DRS DESIGNS SUMMER FUN Blog Hop! Wasn't Julie's project WONDERFUL and full of Lemon-y Inspiration!? So much FUN and prefect for summer! (If you didn't arrive here from Julie's blog, you don't want to miss what our whole DT has in store for you! The Blog Hop starts HERE. We are so excited to share this New Release with you! My card here uses the FUN Happy Octopus image! I love my second card. It makes me SMILE and reminds me of the movie Finding Nemo. Can you hear Bruce saying... Heeeerrrreeee's Brucie! or I am a nice shark, not a mindless eating machine. If I am to change this image, I must first change myself. Fish are friends, not food. Ha! That is one children's movie I don't tire of watching. I hope you enjoyed the HOP! Thanks for stopping by! Hello My Friends! Welcome! I had a GREAT week, even though it was a busy one! I hope you are experiencing a WONDERFUL summer! My son's broken arm is healing well. I started bu stamping this ADORABLE image from the Peekers Collection #1 , using the Sweet Mischief Peeker in Black Staz On Ink. Using Inspiration Paints: Denim, Rustic Red, Fairy Dust, Beige, Tutu Pink, Sky Blue to paint the image. I used the Tim Holtz Broad Brush Nub to water color the image. I used the C'est La Vie 6x6 Paper Pad. I stamped theUnity Stamps Painted Punchinella in Bashful Blue to add a little more texture to the back ground. Blank Canvas Add some Texture! Hello Friends! It is Saturday already! I can hardly believe how fast this week went! 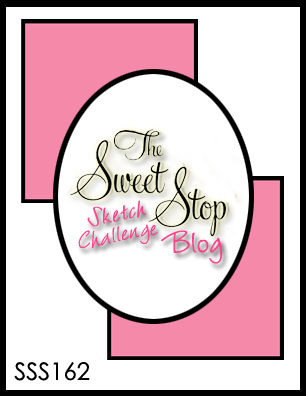 Welcome to the Saturday Sweet Stop Sketch Day! 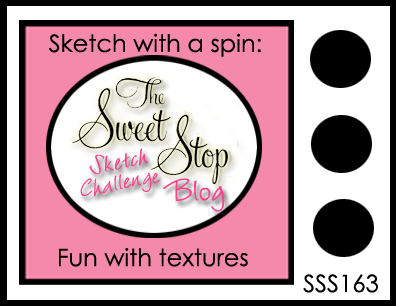 This week, our sketch has a spin! Add some TEXTURE to your project! I can't wait to see what you create! Hello Friends - Have you checked out what SUSANA has in her store lately? Soooo many COOL things to play with! A few new products in the store this week so check them out!!! New Gorjuss Girl Stamps- HERE!!! New Crafty Individuals Stamps- HERE!!! To create my project, I took the My Minds Eye Nostalgia 6 x 6 Paper Pad and ran a sheet through the Embossing Folder Grunge Stripe. I painted the raised portion with GOLD Inspirations Paint then I ran Viva Crystal Gel over the top embossed paper to add some more shimmer. On the WORD IMAGE AUTHENTIC, I created a graduated painted words with the INSPIRATION PAINTS: Sunshine, Gold, Bright Yellow, Pumpkin, Orange, Mango - I also stamped Blank Canvas and Resilient Woman with Black Staz On and used the same colors to paint her. All right, I am off to enjoy the sunshine! You have a WONDERFUL day! Thank you for stopping by! Hello Everyone! 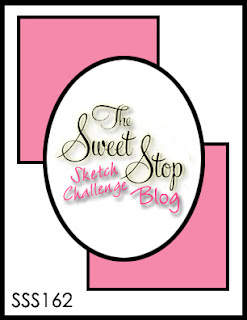 Welcome to the Saturday Sweet Stop Sketch Day! This week has been such a busy one, so I went with a VERY Clean and Simple Card! Here is the sketch.... I used a Pinwheel die from Lil' Inkers. The Papers are Basic Grey Konnichiwa available at Susana's Custom Art and Card Design. Susana has the new Gorjuss Girls- https://www.susanascustomartandcarddesign.com/products.php?cat=225 and Crafty Individuals Stamps- https://www.susanascustomartandcarddesign.com/products.php?cat=226 in the store now!! I have recently been introduced to a cleaning product (s) called Norwex. If you haven't heard of Norwex before, I would LOVE to introduce it to you and show you some of the things it can do! I am so IMPRESSED with this product, I decided to become a Norwex Consultant!! Many of you know have known me for years and have NEVER heard me excited about cleaning products. Never in my life would I say I have been excited about cleaning products! :) Well, a few friends have introduced me to this product that is CHEMICAL- FREE/ Toxin and WORKS! It has saved me TONS of time and there are NO CHEMICALS OR TOXINS! Which is wonderful as everyone in my family has allergies!!! Remove Grease with a single swipe? Have a shiny sink within minutes and no toxins? Remove Rust stains on a bath tub and hot tub jets? Remove Sharpie Marker from floors and walls, easily? Dust the house without particles floating every where? Remove built on Soap Scum in your bathroom with out tons of chemicals and elbow grease? 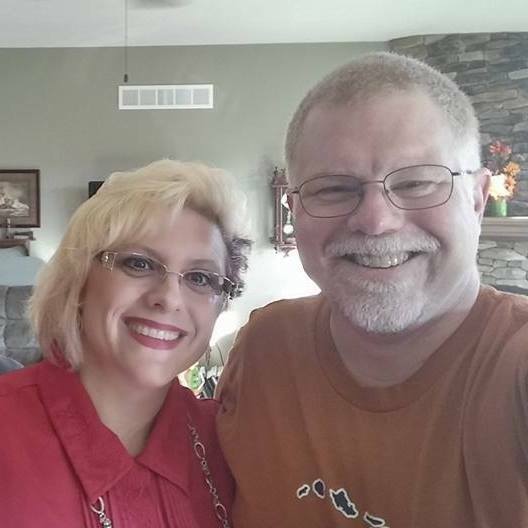 https://www.facebook.com/ChrisDickinsonIndependentNorwexConsultant where many of my customers are giving testimonials and where there will be product information too! Watch for information and before and after shots HERE! Have a great night! I am in love with this color combination. It reminds me of a cool summer breeze! On my card today I used: Open Plaid in Tangerine Ink, then colored the stripes Pool Party and So Saffron. The bottom portion is the Large Stained Glass and colored with the same colors. I stamped the Girl Swirl Heart and Engagement Wishes in Tangerine ink and added some pearl gems. I hope you enjoyed my project today! Have a safe and wonderful summer! Hello Everyone - I have been having so much fun playing with the NEW FABULOUS Mixed Media Blank Canvas images. This project uses the Blank Canvas and Resilient Woman AND The Authentic Words Set. I stamped the Unique several times and colored it with fabrico markers. I then stamped it again with Staz On ink on the SHEETMetal Tags and colored that word. Once the image was colored, I ran the metal tag and the Core'dinations Card stock through my Big Shot with the CuttleBug Brocade Embossing Folder. I tied some silver cord in a bow through the hole and adhered it to the card stock. I wrapped some cord around the bottom of the card stock and stamped the Blank Canvas and Resilient Woman and cut her out. Using Sticky Thumb Dimensionals, I adhered Resilient Woman to the card stock. I used the Technique Junkie Newsletter and the technique called Sanded Core'dinations. If you have not hopped through the NEW RELEASE HOP, you will NOT want to miss the AMAZING creations the talented Designers have shared with you! You can see them all HERE. The Technique Junkie Newsletter is have a Blog Hop too and it is ALL about the ANNUAL CD SALE - you can join us HERE for the HOP. Thank you for stopping by! Enjoy your day! Ahhh Sweet Saturday! How do I love thee? Let me count the ways! :) Welcome to SWEET STOP SATURDAY! Have you seen the NEW FABULOUS Dies by SCACD and the NEW FABULOUS Mixed Media Images? Sooo many cool ideas! Susana has collaborated on a collection of dies with a timeless, classic feel. Delicate and beautiful, the diecuts from these high quality wafer thin metal dies will be featuring on your projects for years to come! Second is a wonderful new direction for SCACD. Susana is following her heart with a new line of Mixed Media stamps. For those of you who are new to the concept, Mixed Media is a style that embraces creativity and experimentation. Let SCACD take you on a new creative adventure with the Blank Canvas Collection. From the beginner to the mixed media enthusiast, these stamps will have the creative juices well and truly flowing! You can see other projects and designs HERE. Paper: 6x6 My Mind's Eye Miss Caroline!